A Wabi Sabi quilt made by instructor Adriana Moreno. Wabi Sabi is a Japanese aesthetic that is centered on the acceptance of transience and imperfection. It is the notion of finding perfection or beauty in the imperfections of life. With regards to quilting, a Wabi Sabi quilt is one that is not based off of a pattern or design. It is an improv or ad-lib quilt, created with scraps the maker has on hand. 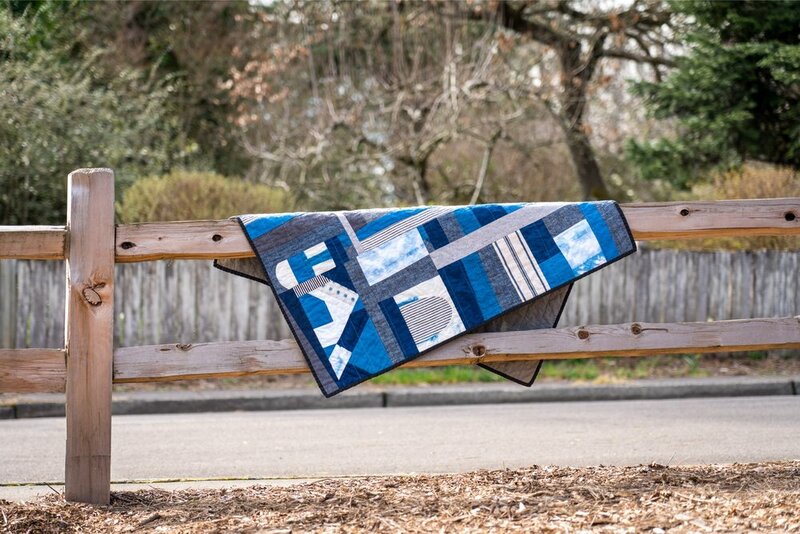 A Wabi Sabi quilt is the perfect way to stash-bust and to help ensure that textile scraps don’t find their way into the land-fill. 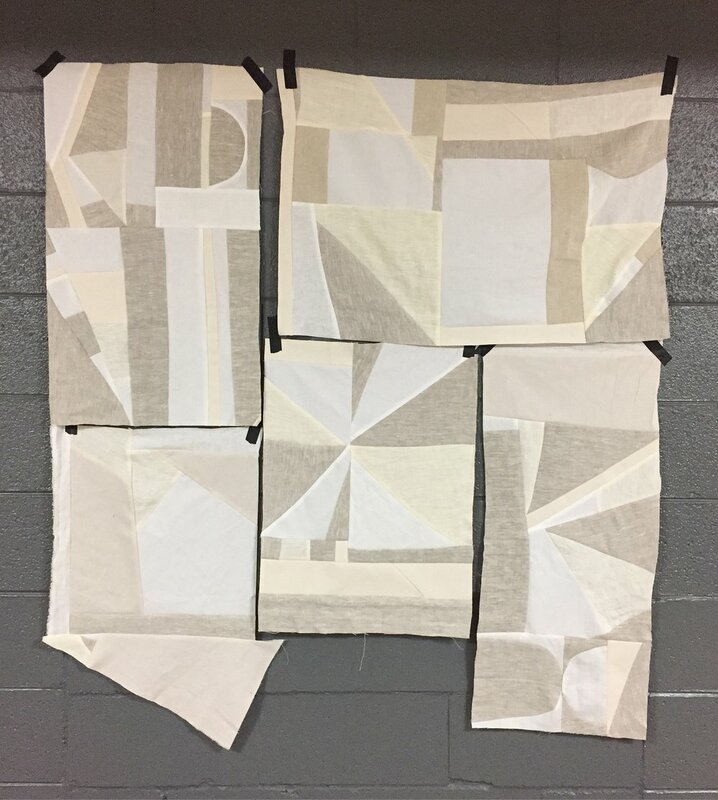 In our upcoming class with local quilter and apparel designer Adriana Moreno, students will work with scrap fabric to create quilted wall-hangings of their own. In this meditative and freeing exercise students will experiment with design options, playing with color, value, pattern, and contrast to create one-of-a-kind wall-hangings. Adriana Moreno is the powerhouse behind Moonshadow Goods. She is a Textile Designer and Natural Dyer who is committed to minimizing waste. She transforms fabric scraps into one-of-a-kind quilt pieces that are both beautiful and lasting. She only uses seasonal natural dye stuff like, plant matter, botanicals, natural extracts, spices and foraged materials in her work. All fabrics are organic and sourced sustainably. She loves the natural dye process because it allows her to slow down and reconnect with nature. This class meets over 3 weeks, on Sundays from 11 am to 2 pm, starting March 31st. We’ve only got a few spaces left in this inspiring and fun class, so click the button below for all the details and to sign up!